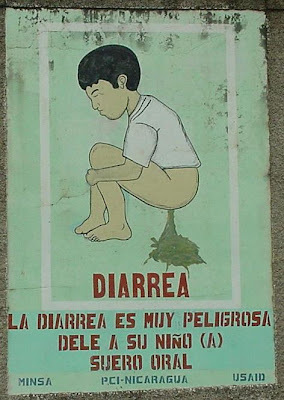 Did you know that diarrhea increases the absorption of Prograf (tacrolimus, FK506)? Drug levels must be monitored closely in this setting to avoid tacrolimus-induced allograft toxicity. Tacrolimus is even considered a cause of diarrhea by some, though its usual counterpart in immunosuppresion, mycophenolate mofetil (MMF, Cell Cept) is more frequently associated with such GI side effects. A newer formulation of MMF, termed Myfortic, allegedly causes less GI side effects than Cell Cept, and can be used in patients in whom Cell Cept is simply not tolerated. 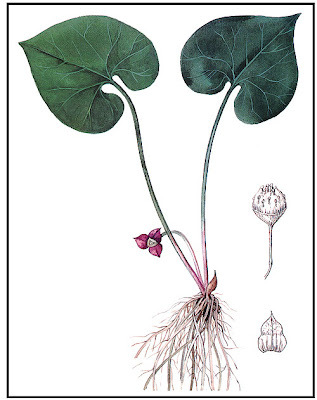 Aristolochic acid is an herb used in many varieties of Chinese herbs and health supplements. Interestingly, it also can cause a severe form of interstitial nephritis which has been known by several names, most notably "Chinese herb nephropathy" (all patients with unexplained renal failure should be queried as to any over-the-counter supplements) as well as "Balkan nephropathy" (named for an epidemiologic clustering of interstitial nephritis in Eastern Europe). Patients with aristolochic acid toxicity are also prone to developing malignancies of the urinary tract (e.g. bladder cancer). What are the cells that make up crescents, the histopathologic hallmark of rapidly progressive glomerulonephritis (RPGN)? 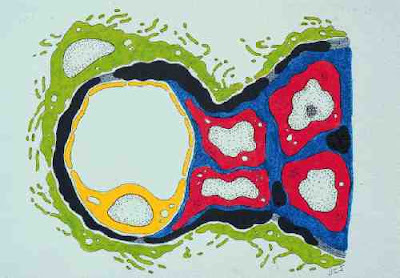 Classically these have been thought to be the parietal epithelial cells which make up Bowman's capsule. However there is now some thought that podocytes may be contributing to this histologic feature which has long been known to portend a worse renal prognosis. A 2008 JASN paper shows that most crescents from a variety of human biopsy specimens demonstrating crescent formation contain cells which stain positive for nestin, a marker which appears to be relatively podocyte-specific. Other podocytes markers (e.g., podocin, WT1) are not present--so either the theory of podocyte origin of crescents is incorrect, or perhaps these genes are turned off as the podocytes change cell fate. 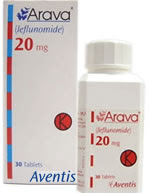 Leflunomide is a drug I've seen used with increasing frequency in the renal transplant world. Marketed under the trade name "Arava", it is an immunomodulatory agent which works by inhibition of the enzyme dihydroorotate dehydrogenase, one of the important enzymes in pyramidine synthesis. It has immunosuppressive properties which have proven useful in the treatment of autoimmune diseases such as rheumatoid arthritis and psoriatic arthritis. 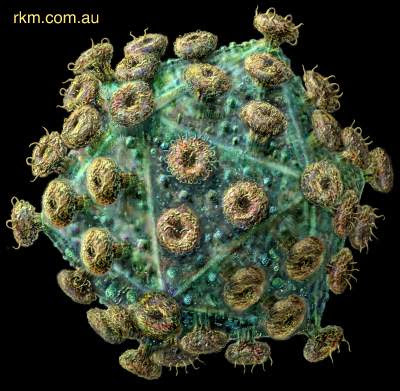 It also has been shown to have antiviral activity against both BK virus and CMV virus, which is why I've seen this adopted in the transplant community: there are very few effective treatments demonstrated thus far which have anti-BK virus activity, and we are using leflunomide to treat a patient on our service currently with gancyclovir-resistant CMV infection. Avastin (bevacizumab) is one of the commonly used VEGF (vascular endothelial growth factor) inhibitors used to inhibit vascular neogenesis, a process which is required for growth of tumor. It has proven to be a valuable agent in a variety of common cancers, including those of the colon, breast, and lung. Only problem (from our perspective at least) is that it can result in renal damage. It does so by two main mechanisms: one, it can cause an acute interstitial nephritis (like many drugs) and two (perhaps more interestingly), it can cause a thrombotic microangiopathy which is not unlike the pathophysiology of eclampsia. Podocytes secrete VEGF, which bind to VEGF receptors on endothelial cells and promote endothelial health; the addition of VEGF inhibitors such as Avastin prevents this interaction and results in endothelial damage. 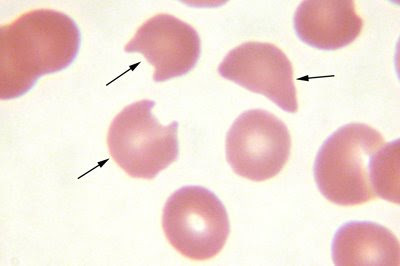 These patients often develop hypertension and may show evidence of a TMA (e.g., elevated LDH, some degree of schistocytes and thrombocytopenia). 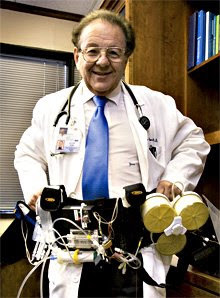 The man on the left is Victor Gura, one of the authors on a 2007 Lancet paper demonstrating the efficacy of the wearable artificial kidney (WAK). The machine (which can perhaps be likened to deluxe version of Batman's tool belt) weighs about 10 pounds, and apparently another prototype weighing about half as much is currently in development. The idea, of course, is that ESRD individuals wouldn't have to come in three times a week to dialysis centers, they could merely walk around with their artificial kidney. The 2007 Lancet paper describes 8 patients with ESRD who used the device for a period of 4-8 hours. Unfractionated heparin was used for anticoagulation and both blood flows (about 60 cc/min) and dialysate flows (about 50 cc/min) were significantly less than in standard dialysis. The urea clearance rate was nearly 25 cc/min which I suppose is not bad. One of the main issues with any form of portable dialysis obviously would be keeping the fistula needle intact and avoiding any serious bleeding complications; the WAK apparently has safety mechanisms to minimize the bleeding risks in such situations. A rare but interesting (and potentially fatal) type of thrombotic microangiopathy (TMA) called neuraminidase-associated TMA occurs with severe pneumococcal pneumonia or meningitis. Neuraminidase is a protease which cleaves off a specific antigen (Thomsen-Friedreich) on the surface of platelets and endothelial cells, exposing a cryptic antigen to which pre-formed IgM antibodies bind, resulting in TMA and renal failure. A 35 year old man with a history of acute myelogenous leukemia, status post a bone marrow transplant from his sister eight years ago and now cured, who developed chronic kidney disease as a result of prior calcineurin inhibitor toxicity and prior XRT. His CKD has progressed over the past several years and now is at the point where his GFR is <15 and he is starting to lose weight. He undergoes a living related kidney transplant, from his sister--the same sister who was the bone marrow donor. What is the preferred immunosuppression regimen? Answer: nothing. The patient's bone marrow is completely repopulated by cells deriving from the patient's sister, and therefore her B & T cells will not recognize the transplanted kidney as foreign. Pretty slick. The differential diagnosis of renal disease in an HIV patient is fairly long. Perhaps the most well-known amongst the list is HIV-associated nephropathy (HIVAN), which involves massive protein wasting, collapsing FSGS, and rapidly-progressive renal failure. Another entity on the list of HIV-associated renal diseases which I just recently learned about, however, is diffuse infiltrative lymphocytosis syndrome (DILS). The disease is due to an infiltration of CD8+ T-cells within the renal interstitium leading to an interstitial nephritis, enlarged kidneys, and declining renal function. The condition may involve other organs as well, typically the salivary glands (where the patient may demonstrate bilateral parotid gland enlargement or sicca symptoms) or the lungs (where it causes "lymphocytic interstitial pneumonitis"). 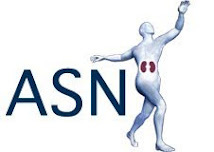 The results from the Acute Renal Failure Trial Network ("ATN Study") are revealed in the most recent issue of the New England Journal of Medicine. The study was a randomized control trial in which ICU patients with acute kidney injury were randomly selected to receive either standard-dosed dialysis (defined as three times a week hemodialysis or CVVH at 20 cc/kg/hr) or more intensively-dosed dialysis (defined as six times a week hemodialysis or CVVH at 35 cc/kg/hr). The trial was not, as some people erroneously believe, intended to settle the contentious issues of whether there is any benefit of CVVH over intermittent hemodialysis; patients were actually permitted to move back and forth between intermittent hemodialysis and CVVH provided they stayed within the intensive versus the standard group to which they were originally assigned. The results: no significant difference was found in the standard compared to the intensively-dosed groups. The study is somewhat at odds to the famous Ronco study published in 2000 in the Lancet which demonstrated a survival benefit in patients who received a higher dose of CVVH (either 35 or 45 cc/kg/hr) compared to those receiving a lower dose (25cc/kg/hr). 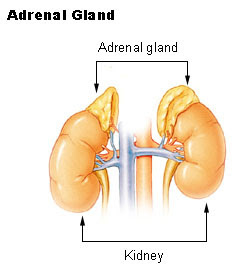 We all know that FSGS can exist in both primary and secondary forms. 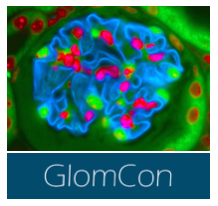 In both cases light microscopy identifies partially ("segmental") sclerotic glomeruli in a variable ("focal") distribution in the biopsy. How can you tell the different between primary (e.g., idiopathic) versus secondary (e.g., secondary to obesity, hyperfiltration, etc) forms of FSGS on biopsy? The distinction is quite important since primary FSGS often responds to steroids whereas secondary FSGS does not. 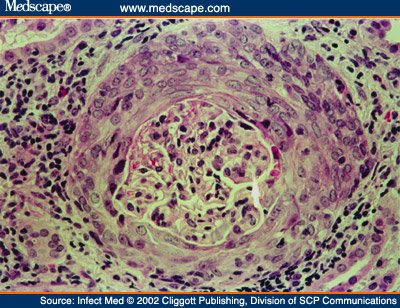 At the light microscopy level, it is often difficult to make a distinction between primary & secondary FSGS; however, sometimes with secondary FSGS one observes larger glomeruli, indicative of the compensatory hyperfiltration which takes place in these patients. More commonly the distinction can be made at the electron microscopy level: primary FSGS will demonstrate diffuse foot process effacement, whereas secondary FSGS usually does not. The situation: a 53 year old ESRD patient shows up with vomiting. She is normally dialyzed Monday, Wednesday and Friday and now [ Her Na level is 111. What to do? There are several reports of central pontine myelinolysis (brain section on left) which can occur with overly-rapid correction of sodium, even in uremic patients (it is thought that excess urea nitrogen, also an osmole, helps protect against the fluid shifts which results in neuronal intracellular edema). Therefore the idea is to dialyze against a low Na bath, though in the case of the dialysis machines in our unit the lowest possible [Na] is 130. It's probably also not a bad idea to use lower flows of both blood and dialysate to minimize rapid changes as well. Friday we did two biopsies on the Consult Service...one of which turned out to be a fairly interesting diagnosis of fibrillary glomerulonephritis. The case in brief: a 71 yo woman with a history of HTN and no diabetes with a history of CKD and a Cr which has steadily been going up over the past 6 months with a Cr which is now 1.9. Her urine sediment has been persistently positive for red and white blood cells. A serologic workup has been negative including a negative SPEP and UPEP. The biopsy showed variably involved glomeruli with a mesangioproliferative pattern of injury and some mild to moderate interstitial fibrosis. IF staining was remarkable for patchy IgG staining and approximately equal kappa and lambda staining. 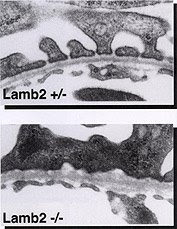 The electron microscopy findings--essential for the diagnosis of fibrillary GN--showed the accumulation of 20nm non-branching, randomly arranged fibrils which are ultrastructurally similar to amyloid fibrils but differ by virtue of their larger size and lack of reactivity to Congo Red staining. Many patients with fibrillary GN progress to ESRD. Unfortunately there are no therapies available other than standard CKD management with ACE-I/ARB and BP control. Often the disease is idiopathic though there has been an association with hepatitis C infection. Dense Deposit Disease: MPGN Type II No Longer? The classical teaching about Dense Deposit Disease (DDD) usually begins with its classification as type II Membranoproliferative Disease. However, in the most recent edition of the NephSAP "Glomerular, Vascular, and Tubulointerstitial Diseases" module, the case is made that Dense Deposit Disease should no longer be considered as a MPGN. In a recent review of 69 DDD biopsy specimens, only about 28% of cases demonstrated MPGN histology; the majority (about 50% of cases) actually showed a mesangioproliferative lesion. In contrast to MPGN Type I (which is often associated with hepatitis C, other chronic infections, or autoimmune disease), DDD is predominantly a pediatric disease that presents as nephritic syndrome. The abnormal irregular GBM deposits appear to arise as a result of unregulated activation of the alternative pathway of complement deposition. Most commonly this results from the presence of C3 nephritic factor (a circulating, activating antibody against C3 convertase) though it can also occur with hereditary factor H Deficiency. Sclerosing encapsulating peritonitis is a rare but severe complication of long-term peritoneal dialysis (PD). 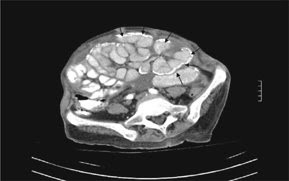 It may occur even years after a patient has stopped PD, and is characterized by calcifications along the peritoneum and small bowel loops (see arrows). It presents with abdominal pain and recurrent bowel obstructions related to thick, fibrous tissue that encases the bowel. Treatment involves the surgical removal of fibrous tissue and intensive nutritional support, often with TPN. Electron microscopy of biopsy specimens from patients with membranous nephropathy demonstrate subepithelial deposits, leading to the hypothesis that immune complexes form in situ against antigens that are present on the podocyte foot process plasma membrane. 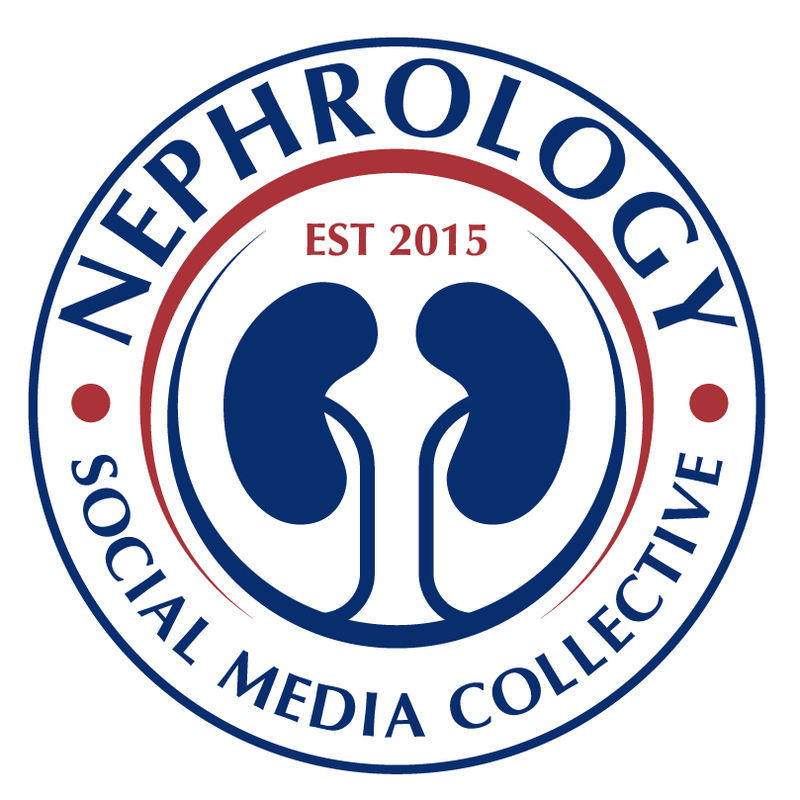 Perhaps the strongest evidence in support for this mechanism comes from the relatively recent (Debiec et al, Lancet 2004) discovery that neonatal membranous nephropathy can result from antibodies against a podocyte protein, neutral endopeptidase (NEP). NEP typically functions to cleave biologically active peptides and is present on the podocyte membrane. Interestingly, there are women with truncating mutations in NEP who do not express any NEP. After multiple pregnancies, they develop anti-NEP antibodies, which are able to cross the placenta and cause significant nephrotic syndrome, including substantial subepithelial deposits, in the developing fetus. The nephrotic syndrome fortunately subsides with disappearance of the maternal anti-NEP antibody from the circulation, and the membranous phenotype can be successfully transmitted to rabbits following injection of maternal serum. While certainly interesting and suggestive of a common mechanism in membranous-induced nephrotic syndrome, neutral endopeptidase is probably not the crucial antigen in most cases of membranous nephropathy. 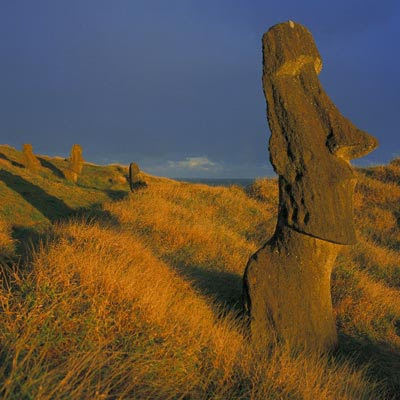 Rapamycin (sirolimus) is a commonly used immunosupressant deriving from the bacterium Streptomyces hygroscopicus, originally found on Easter Island. It was originally developed as an antifungal agent but later found to have potent immunosuppressive and antiproliferative properties. Although effective, rapamycin has a number of unpleasant side effects, including poor wound healing (therefore it generally is not used in the immediate post-transplant period), oral ulcers, pneumonitis, pleural & pericardial effusions, bone marrow suppression (especially thrombocytopenia), GI effects, and, interestingly, proteinuria. Rapamycin appears to cause proteinuria, often in the nephrotic range, and the lesion appears to be focal segmental glomerulosclerosis (FSGS), according to this 2007 CJASN article by a French group. 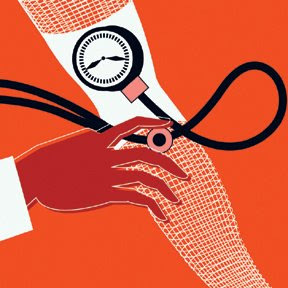 Keeping with our theme of uric acid from yesterday: Do elevated uric acid levels play a causative role in essential hypertension? I just finished attending the Renal Grand Rounds at Beth Israel-Deaconess Hospital featuring Dr. Rick Johnson, a physician-scientist who makes a very compelling argument in favor of an etiologic role for uric acid in primary HTN. 1. In most large, epidemiologic studies, uric acid is a clear risk factor for developing hypertension; furthermore indigenous cultures with low uric acid levels (probably due to a non-Western diet) have low incidences of high blood pressure. 2. In some small observational studies involving pediatric patients with essential hypertension and uric acid levels > 6, treatment with allopurinol clearly decreased high blood pressure. 3. Making rats hyperuricemic induces hypertension due to a mechanism involving a direct endothelial toxic effect of uric acid. There are certainly caveats to this hypothesis--for instance, rats aren't humans, epidemiologic evidence does not imply causation, and a large randomized controlled trial is really necessary before we should be using allopurinol as a blood pressure lowering agent. But it's an interesting story thus far and if it's true, it could really impact one of the most important public health problems which exists. Interesting case from one of my calls last week (although I understandably would have been more enthusiastic about the case at the time had I been called about it 10 am rather than at 10 pm, prompting an overnight stay in the hospital by one unlucky Renal fellow). A 65 year-old male with a history of acute lymphoblastic leukemia (ALL), completed chemotherapy about 3 weeks ago and thought to be in remission, went to his Oncologist's office for a routine checkup. He was found to have a WBC of 30 with 50% blasts and a Cr of 8. 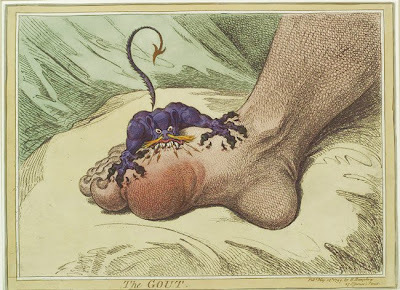 Also of note his K was 5.9, his uric acid was 22, and sadly he noted that he hadn't peed for 3 whole days (do you think you'd go see your doctor if you hadn't peed all day long? I think I would, but who knows). The diagnosis wasn't difficult: tumor lysis syndrome. The more interesting question was the management, and specifically, should he be dialyzed in the middle of the night or not? On the pro-emergent dialysis side: He's got a K of 5.9 with some peaked T-waves, and in the absence of urine output it may be difficult to get down on its own. Also, since uric acid is dialyzable, one could argue that it may be possible to minimize renal damage by getting rid of the uric acid. On the anti-emergent dialysis side: His K isn't all that high and we could try & get it down with kayexalate; we could give him Rasburicase (a recombinant urate oxidase medication) to acutely lower urate. We did end up putting a dialysis catheter emergently and dialyzing him overnight, in addition to giving him a dose of Rasburicase. Within 48 hours his uric acid level was below the level of detection in our assay--I'm not sure whether the dialysis or the Rasburicase was more effective in acutely lowering serum urate. In any case, the patient received a total of 3 dialysis sessions, and fortunately has showed signs of making a complete renal recovery this weekend. 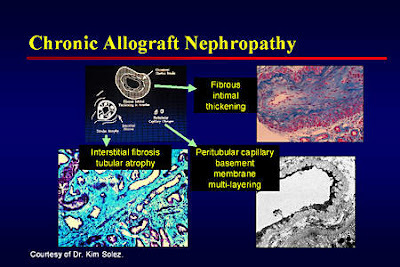 Chronic Allograft Nephropathy No More? 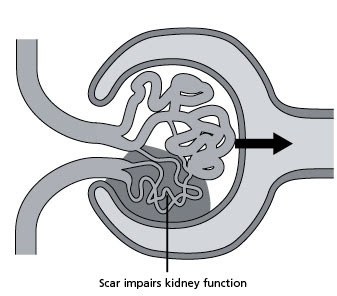 The term chronic allograft nephropathy (CAN) has long been used to describe the non-specific injury to kidney transplants that is the most common cause of late (>1 year post-transplant) allograft dysfunction. With the 2007 Banff classification system, however, the consensus was to eliminate the term "CAN" from the transplant lingo, as it was felt that it diminishes attempts to determine the underlying cause of the histologic lesions. It replaces the term "CAN" with the histologically descriptive term, "interstitial fibrosis with tubular atrophy", or "IFTA". One can even attempt to classify the IFTA into different subgroups according to the mechanism of injury (e.g. IFTA with calcineurin inhibitor toxicity; IFTA with chronic rejection, etc) though it is controversial whether one can really distinguish the mechanism of injury by the histologic pattern on biopsy. 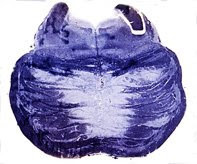 In addition, IFTA can also be classified based on the degree of interstitial fibrosis: Grade I (mild, affecting 6-25% of the cortical area), Grade II (moderate, affecting 25-50% of the cortical area), or Grade III (severe, affecting >50% of the cortical area).